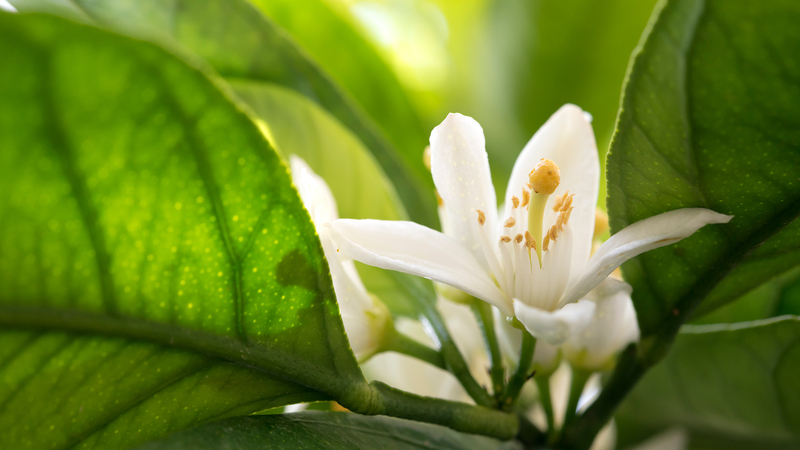 Glade® Fresh Citrus Blossoms is the first of its kind: A home fragrance that lists all fragrance ingredients. When you buy products with fragrance transparency, you help prove transparency matters to families. If you are looking for an air freshener with full transparency about what is inside, you have found it. The Glade® Fresh Citrus Blossoms collection (online only) is the first from a major consumer packaged goods company that discloses 100% of the fragrance ingredients, down to the component level. So, you can be certain what is inside – even more than with many natural fragrances. Premium Room Spray, which quickly adds fragrance to the air and creates a tranquil atmosphere for your home with a gentle, yet powerful scented mist. PlugIns® Scented Oil Refills, which fit into the Glade® PlugIns® Scented Oil Warmer. Simply insert the warmer in an outlet for long-lasting scent that is adjustable to fill any room in your home with fragrance. Wax Melts Refills, which give even the largest room in your home a boost through cubes of scented wax that melt to release true-to-life fragrance. You might be surprised to hear that it is up to each manufacturer to decide if they want to share air freshener ingredients or a lot of other information about what is inside their products. There are few regulations when it comes to ingredient communication or disclosure. And, many companies disclose natural fragrances or essential oils in aggregate, even though they, too, contain tens or even hundreds of chemical components. We understand that some people may have concerns about certain ingredients, and we want to make information available so you can make informed choices for your family. We also want to encourage discussion of all types of chemicals, from naturals to those that are nature-inspired. They have different benefits and, when used in appropriate amounts, all can be used safely. 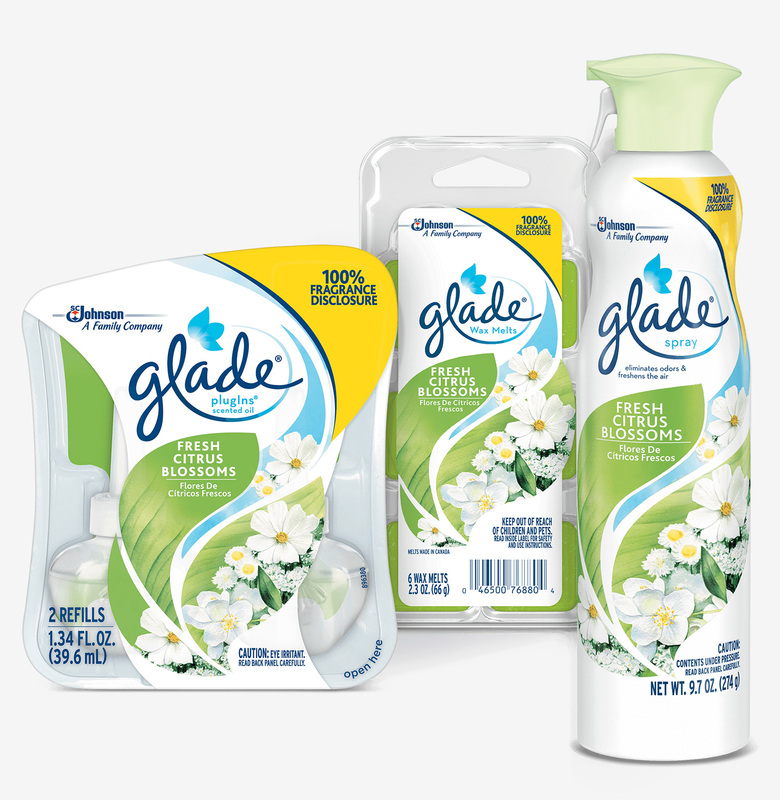 All the fragrance components used to create the Glade® Fresh Citrus Blossoms collection are nature-inspired and all pass our rigorous screening criteria. You can find the full ingredient list for Glade® Fresh Citrus Blossoms products at WhatsInsideSCJohnson.com. Because fragrance suppliers consider their recipes to be trade secrets, it can be difficult to share complete product ingredient details. But SC Johnson has been negotiating with our suppliers for more and more transparency, and we have made great progress. We started sharing our full fragrance ingredient list in 2012 and launched product-specific fragrance disclosure in 2015, listing more than 99.9 percent of ingredients in the total product formula. Glade® Fresh Citrus Blossoms was the next step, in 2016, with a collection that is 100% transparent about its ingredients, down to the most basic component level. Of course, not everyone will have a chemist’s understanding of the acids, aldehydes, esters, ketones and terpenes that go into a typical fragrance. But we believe it is important to acknowledge that all scents contain these components – whether the scent comes from an essential oil or a lab-created fragrance. Want to know more? Check out this Scientific American article on the fact that chemicals are everywhere.